Everyone loves to receive gift cards at Christmas, but they aren't much fun to give. Solve that problem with these cute Christmas gift card envelopes. 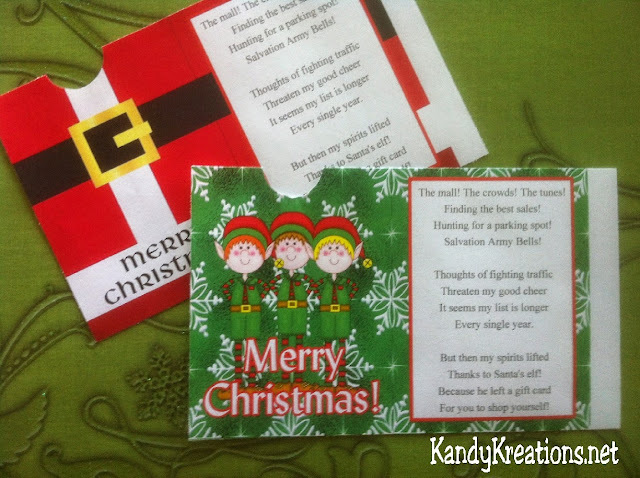 With this free printable you can print your own gift card envelopes with a cute Christmas poem and design so everyone will be happy! After spending time going through my idea books this weekend trying to help my son with his Secret Santa gifts, I found a few ideas that I think need to come out of the book and into the light of day. 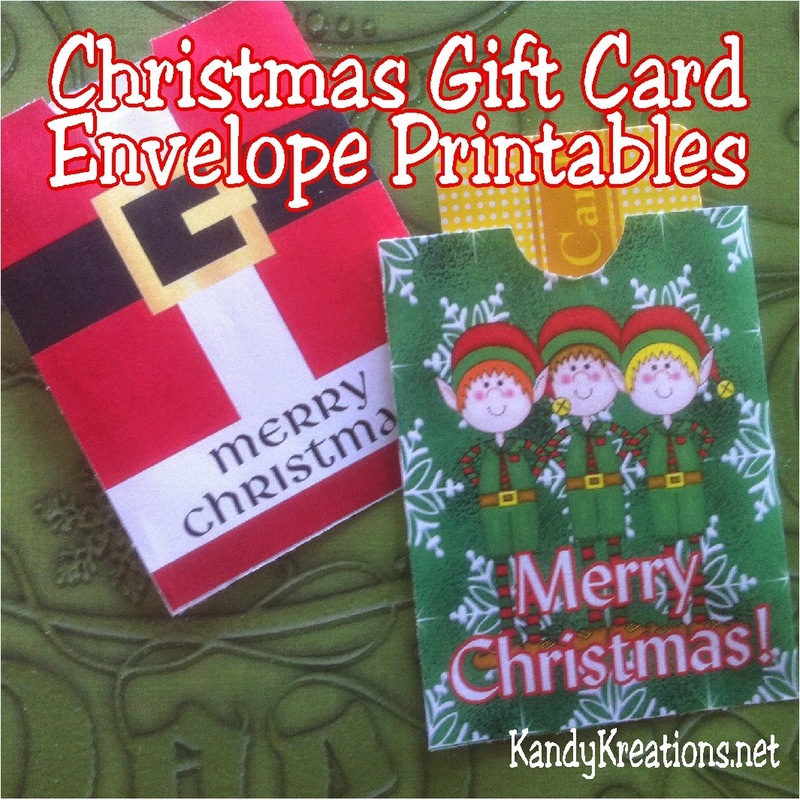 These Christmas gift card envelopes are one that I knew I needed to make since they will most likely show up as my kids' stocking stuffers this year. After all, what does a teen like more than the ability to go shopping and not have to worry about mom looking over their shoulder at what they are buying? 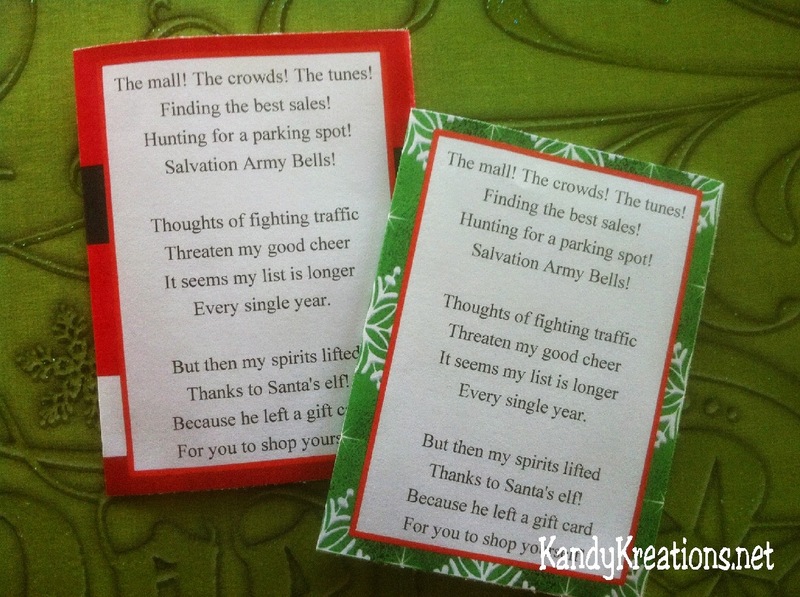 One of the things that makes these gift card envelopes so cute is that there is a fun poem on the back. I don't know who wrote the poem originally, so if anyone does please let me know so I can give proper credit, but it is a great one. The mall! The crowds! The tunes! Hunting for a parking spot! For you to shop yourself! 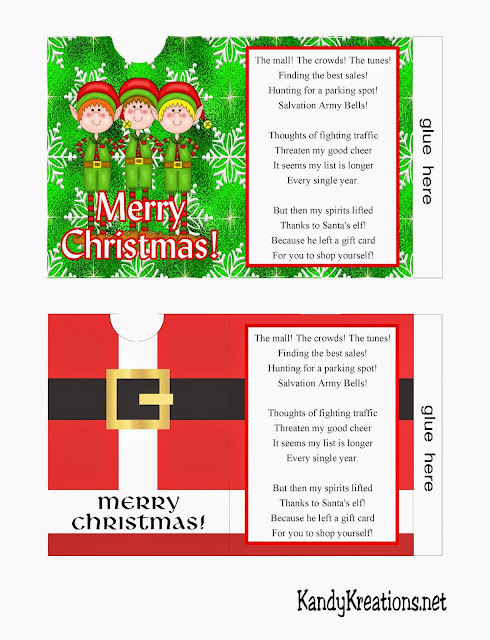 Since I have several kids who can't stand to get the same of anything, and because I couldn't decide which design I liked the most, I made two different designs of the Christmas gift card envelopes. One is a Santa's suit and the other has the Elves who left the gift card for your neighbor, friend, or family member. Simply print out the JPG picture file from below and cut around the edges. 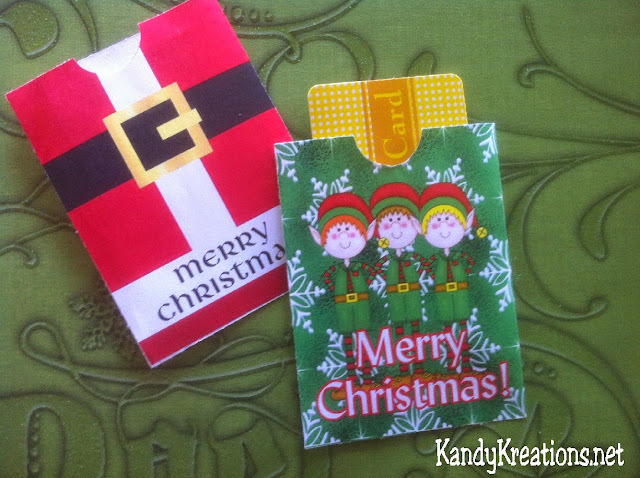 Score and fold along the dotted lines and glue the extra flap and bottom of the gift card closed to create a three sided closed envelope. The gift card slides easily in and out at the top of the envelope. Are you planning to give any gift cards this Christmas? Do you plan to "dress" them up if you are?